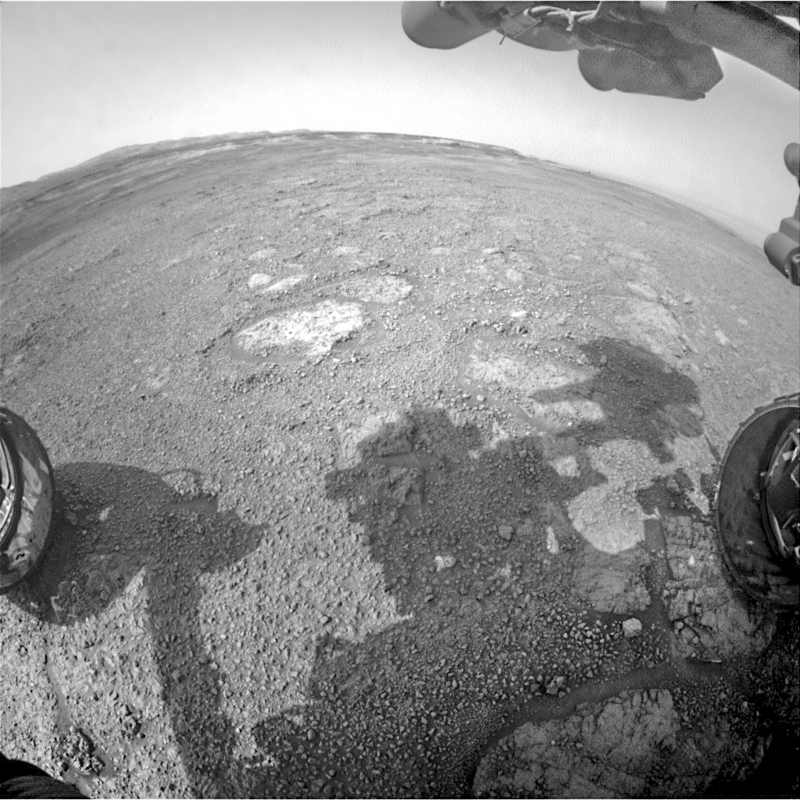 Sol 2283, January 7, 2019. 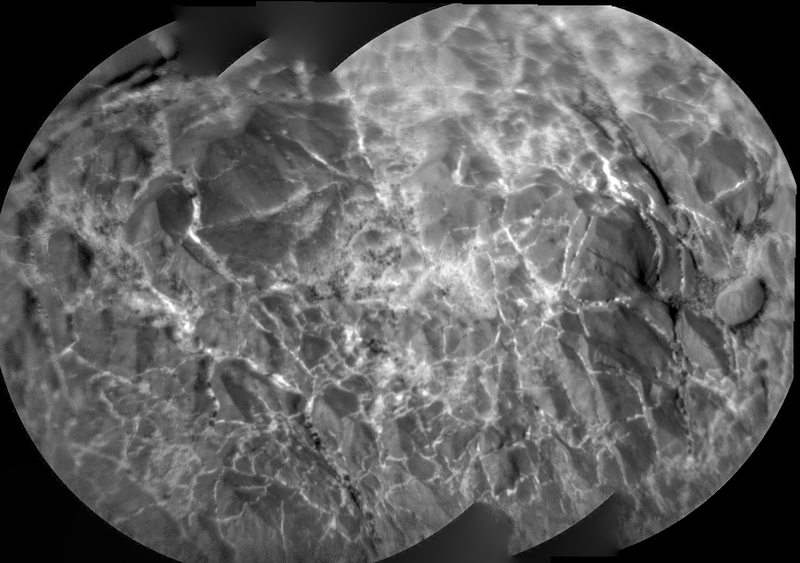 The rover’s Remote Micro-Imager (RMI) shot a three-frame composite of a rock (St Cyrus) that appears laced through and through with bright veins, plus a few large dark fragments. At right (top), the RMI view of a target dubbed Gometra, plus the Hazcam view forward. Click any image to enlarge it. Sol 2283 raw images (from all cameras). 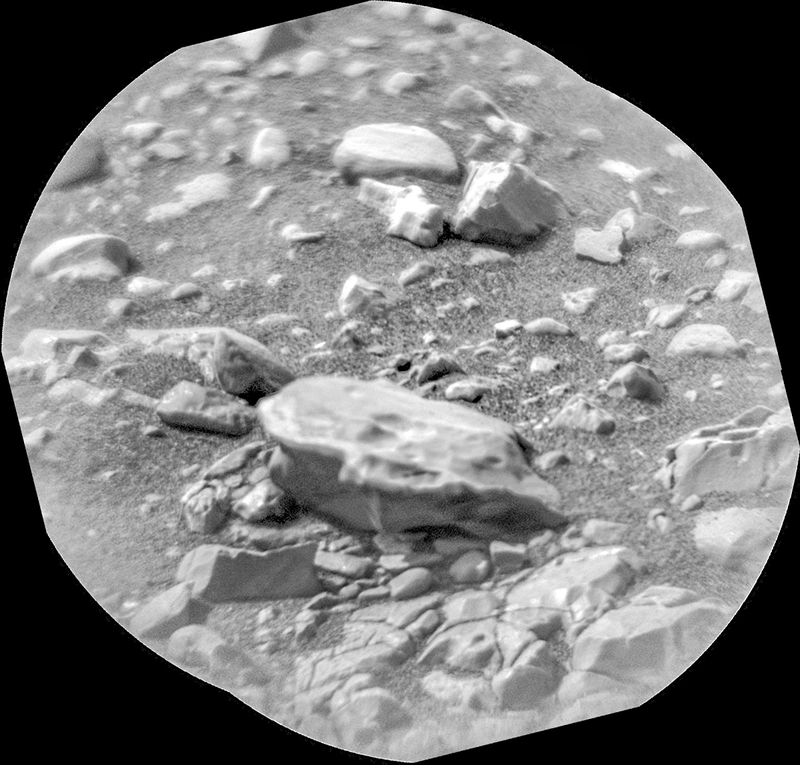 This entry was posted in Reports and tagged Aeolis Mons, Curiosity, Gale Crater, Gometra, Mars Science Laboratory, Mount Sharp, MSL, Murray Formation, NASA, St Cyrus, Vera Rubin Ridge. Bookmark the permalink.